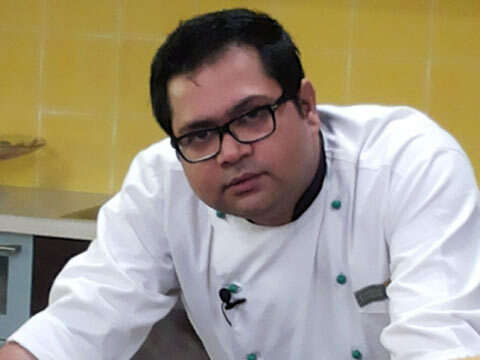 Talking to Restaurant India, Saurabh Saxena, Head- Kitchens and Operations, Sura Vie shares â€˜what are the best quality ingredients for getting the best responses from the customersâ€™. According to you, what all is required in designing a restaurant menu? We surveyed our near by location , the kind of menu served around and kind of people visiting Connaught place , and then using my experience since so many years and many brainstorming sessions we thought of giving a menu which serves our own classical dishes to most innovative cuisines served around. We serve world cuisine at SuraVie. We bring to our patrons a culinary experience that encompasses the familiar as well as the experimental cuisines from across the globe and give them the opportunity to sample the world on a platter with classical and innovative varieties. From where did you get the best quality ingredients to satisfy your customer’s needs? Our forte has been food, and being a chef, top quality products have always been around. Delhi being a main hub of international cuisine is blessed to have the availability of global ingredients. You have chosen the prime location i.e. CP. How is this location different from other locations? What is your expected growth from this location? CP is a hub for all kinds of audiences that we aim at reaching out to. From expats, tourists and locals to Corporates and business travelers; CP is one of those few destinations that has a fix of all categories hanging around in closest proximity. With many corporate offices and business hotels to ample options for shopping, eating and partying, CP offers it all. What will be your new techniques in food which will help your restaurant to grow? World is moving towards a great transition of using classical styles to techno cooking equipments. Our menu is designed in such a way that we have to stick to traditional style of cooking but at the same time I am experimenting with techno equipments like dehydrator, molecular chemicals to transform food and enhance presentations , sous vide for slow cooking. SuraVie has come out to be a very entertaining and world cuisine concept with an overwhelming experience from our diners. The whole idea is to have great time with soothing music and worldly food with contemporary styles of service and presentation. We strongly work in franchisee model at SK Restaurants. SuraVie has already expanded to four restaurants- in Delhi and Dubai. Other areas which have great potential for a product like SuraVie is Noida and Gurgaon for NCR Region and all other metro cities. The only way to earn loyalty is by delivering the best results to make sure your guests are satisfied and keep coming back for more. Our key focus right now is to bring to our guests the most endearing culinary experience that is an amalgam of state-of-the-art food, artistic presentations, unsurpassable hospitality and a perfect dining ambiance. We are adding innovations to our menu regularly to offer new tastes and flavors to our diners. Our fund raising will never stop- Hitesh Bhatia, N..